“Actuarial value” and “utilization” refer to Obamacare plans indemnifying fewer costs than employer-based plans. They have higher premiums, co-insurance, and co-pays. Premiums will be lower for such plans because a higher share of costs is paid directly by patients and not third-party insurers. Further, those with higher direct spending will consume fewer health resources, are more likely to seek less expensive services, et cetera. So, the Urban Institute scholars grossed up Obamacare premiums by 18 percent to adjust for these effects. After this adjustment, Obamacare premiums were 10 percent less expensive. Before praising the study, let me quibble with two issues. 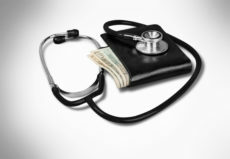 First, there needs to be another adjustment, because comparing unsubsidized Obamacare premiums to actual employer-based premiums misses the fact that 85 percent of Obamacare beneficiaries receive tax credits subsidizing coverage, whereas 100 percent of beneficiaries of employer-based plans pay premiums with pre-tax dollars, excluded from their household taxable income. These are two very different tax treatments. Net premiums after including these effects are more interesting than the gross premiums before the tax benefits. However, such a comparison would be dauntingly hard to estimate. Second (and related), there is an income effect that invites adjustment. The tax shield of employer-based benefits is biased towards high-earning employees with high marginal income tax rates. So, many lower-earning employees have more health benefits than they would prefer. They would rather take home higher wages. However, the employer-based system denies them this choice. Although Americans are right to criticize Obamacare, the Urban Institute’s latest study raises an important question about the status quo: Why do we allow employers to make our choice of health plan, which results in higher premiums?